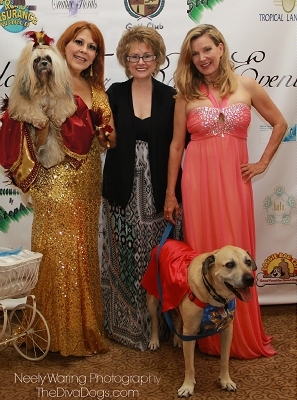 From left to right, Darsey Mitchell holding Miss Millie LaRue, Kit DeRoche holding Miss Duchess (owned by Wendy and Greg DePinto, and on right, Wendy DePinto holding Gigi who also placed. 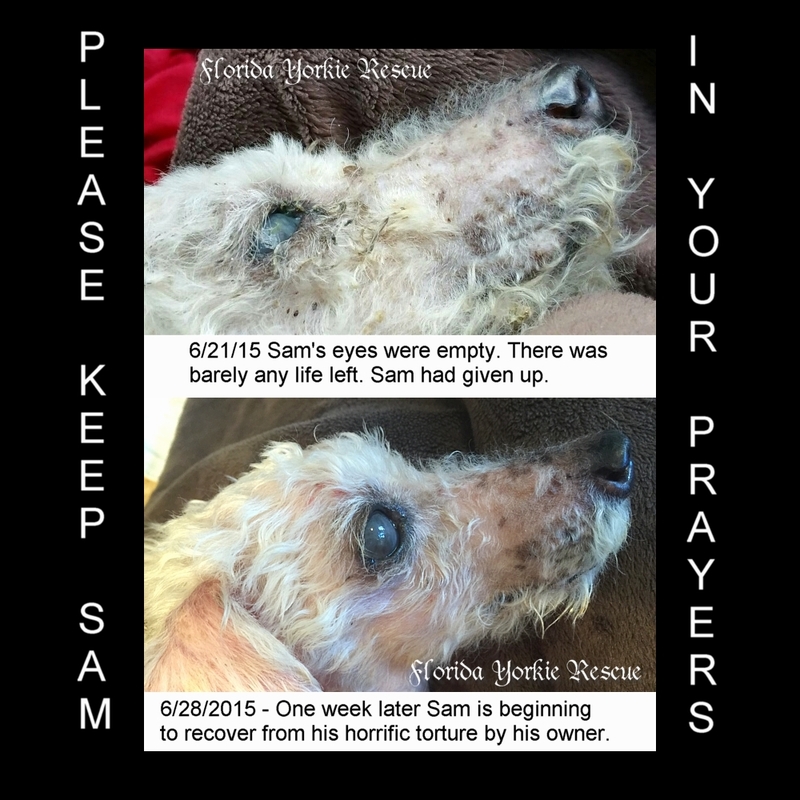 All 3 dogs won awards. 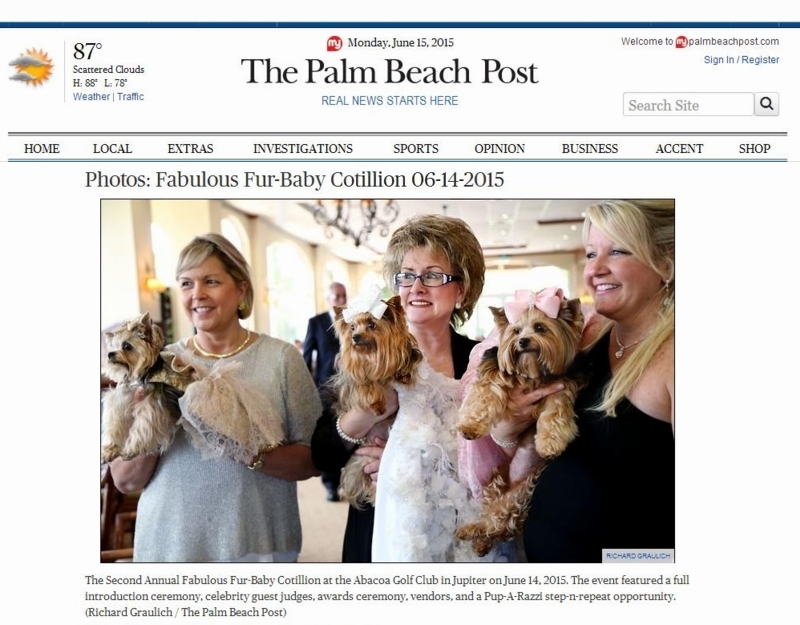 A group from Florida Yorkie Rescue attended the fabulous Fur-baby Cotillion 2015 held on June 14, 2015 at the Abacoa Country Club in Jupiter, Florida. FYR had a silent auction at the event, sponsored by Gianna Souza of G Girl Productions and Doggie Bag Café. 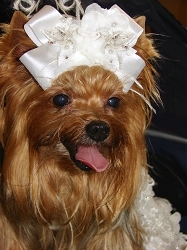 Wendy Carlson DePinto and Gregg DePinto entered two of their yorkies. 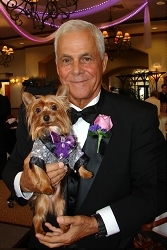 Gigi won 6th place in the “Brag walk of Fame” wearing a pink dress made by wearing Severine Vicknair. Darsey Mitchell’s Miss Lillie LaRue won first place!!! 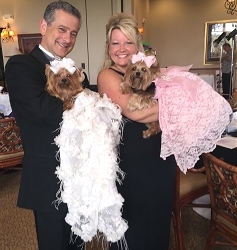 Wendy and Gregg’s little Duchess (also a FYR Alumni) received FIRST place for Best Evening Gown , FIRST place for Best Evening Gown Designer (gown designed also by Sofia Lauren Kennedy) AND Duchess also took home the GRAND PRIZE AND TOP HONOR and was voted Miss Cotillion 2015. Wow, what an event!!! 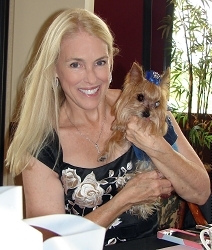 Megan Blake, actress, writer, producer, The Pet Lifestyle Coach and host of the new radio show; A Super Smiley Adventure." Megan was a celebrity guest Judge. 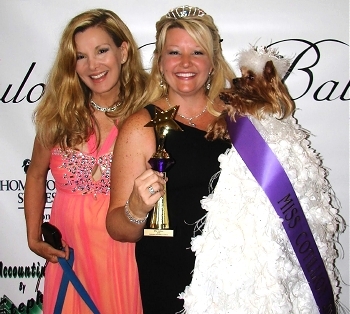 She is photographed with Wendy DePinto and Duchess, winner of the top honor, Miss Cotillion 2015. 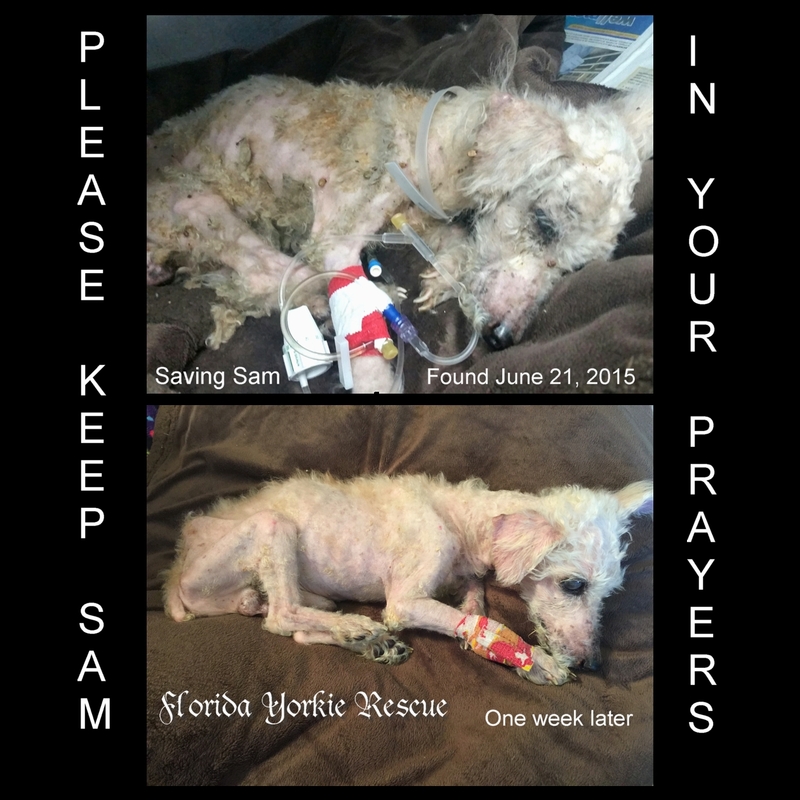 Florida Yorkie Rescue raised $1,352.00 at this event and are very grateful to all those who donated to our silent auction and raffle items. 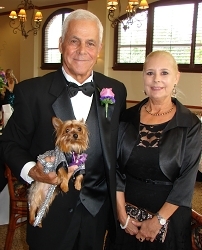 Greg & Wendy DePinto with Duchess; Miss Cotillion 2015 and Gigi. Diane Marvin & Kit DeRoche with Teddy B, the first runner up for Mr. Cotillion 2015. Joseph DelCampo with Nisay, second runner up for Mr. Cotillion 2015. Diane Marvin with Teddy B, the first runner up for Mr. Cotillion 2015. Joseph DelCampo & Linda Worsham with Nisay, second runner up for Mr. Cotillion 2015. 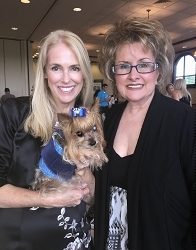 Laura Souza from G Girl Productions, Kit DeRoche from Florida Yorkie Rescue and Megan Blake. 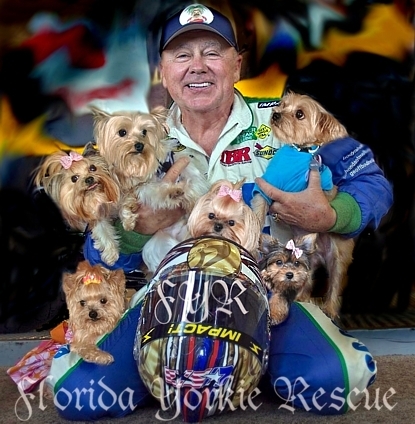 Geoff Bodine, Daytona 500 Winner & NASCAR'S 50 Greatest Drivers, and his wife Lori support Florida Yorkie Rescue and Yorkie House of Hearts.